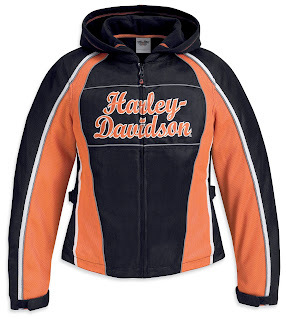 The new women’s 3-in-1 Mesh Jacket (P/N 98229-12VW, starting at $165) from the Harley-Davidson® MotorClothes® line beats summer heat with full-cooling effect and three-option versatility. 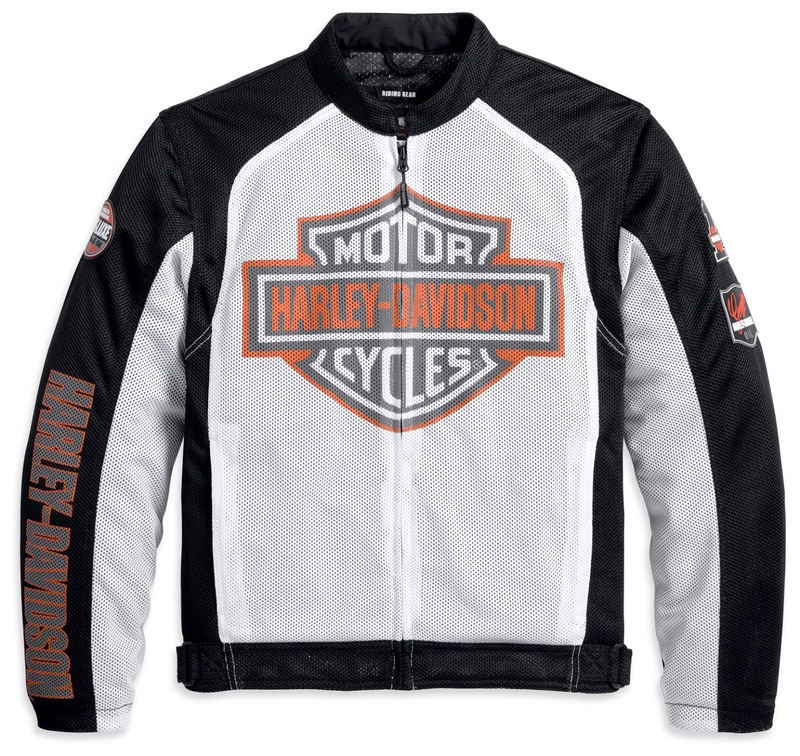 Its 100 percent polyester allover mesh construction on the front, back and sleeves is matched with polyester mesh lining for maximum airflow and comfort. Dedicated hydration pockets hold accessory hydration packs for additional evaporative cooling while pockets at the elbows and shoulders accept accessory body armor for additional protection. 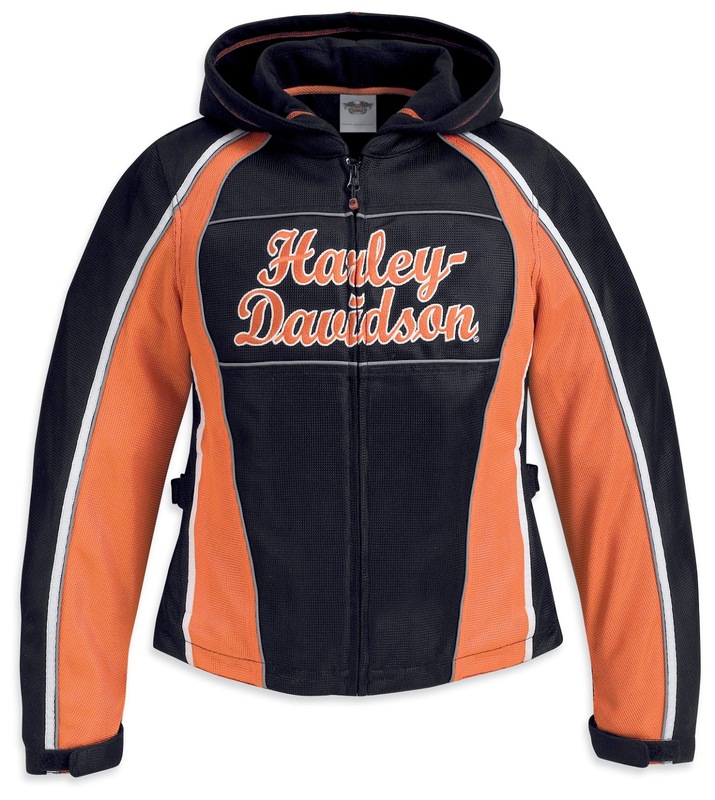 The removable 100 percent polyester windproof hoodie features extended cuffs with thumbholes and can be worn separately. 3M™ Scotchlite™ Reflective Material delivers enhanced reflectivity in low light. Available in white or black in XS – 3W sizes. 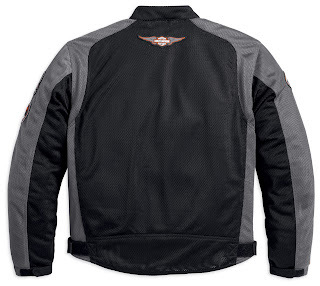 The 3-in-1 Mesh Jacket is available now at most Harley-Davidson dealerships. 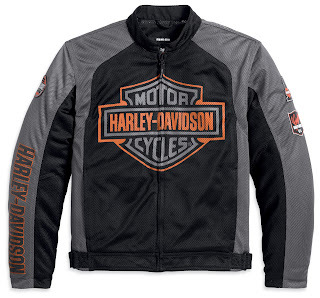 Constructed from 100 percent polyester allover mesh for maximum airflow, the new men’s Bar & Shield Logo Mesh Jacket (P/N 98232-13VM, starting at $110) from the Harley-Davidson® MotorClothes® line keeps riders cool and protected. 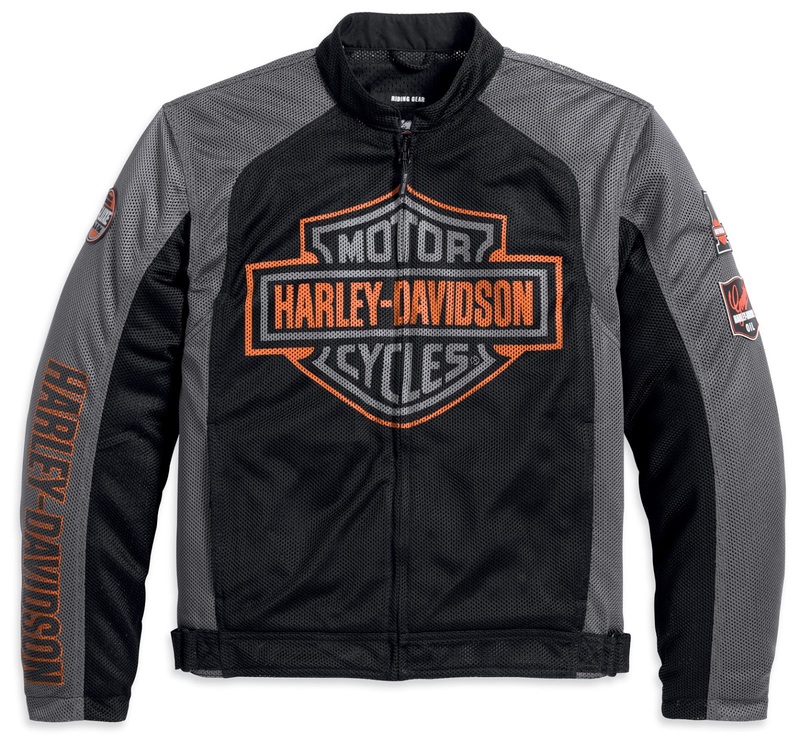 The all-mesh front, back and sleeves are matched with a polyester mesh lining for full-torso cooling. 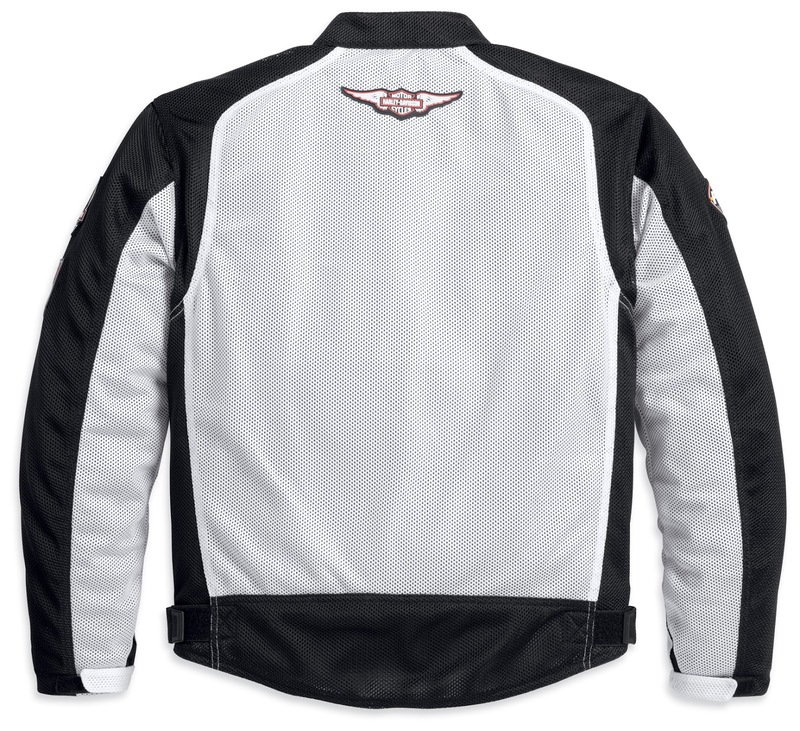 Four zippered pockets offer ample space for gear, while pre-curved sleeves and adjustable waist tabs optimize comfort. Pockets at the elbows and back accept accessory body armor for additional protection. It’s available in white or black (P/N 98233-13VM) in S – 5XL, as well as Tall sizes. The Bar & Shield Logo Mesh Jacket is available now at most Harley-Davidson dealerships.